Mahindra plans to extend the Mahindra KUV 100 and TUV 300 range in India. It is bringing different variants of both the cars for a different type of buyers. The first one from this lineup could be the electric KUV 100, which might launch in 2019. Mahindra KUV 100 is one of the slowest performing models from the homegrown automaker. It is a micro-SUV, which basically means that it gets SUV looks, but is not one. It offers the practicality of a hatchback. It’s another famous UV is the TUV 300. The boxy SUV competes with the likes of Hyundai Creta, Renault Duster, and Nissan Terrano. Recently, the TUV 300 Plus was also launched, which is basically an extended 9-seater version of the TUV 300. Now, we get to know that Mahindra plans to extend the range of KUV and TUV with different variants. We talk first about the Mahindra KUV 100. The Micro-SUV as an EV concept was showcased at the 2018 Auto Expo. So, we expect the Electric KUV 100 to launch in 2019, as it is widely speculated. Also, just last week, the diesel AMT variant of the KUV 100 was spotted testing without any camouflage. Currently, it comes only with a manual gearbox. So, most likely the AMT variant might launch this festive season. ET Auto states that both of these brands are long-term and strategic. So both of them will get new technologies, updated versions and BS-VI engines before the emission norms. Coming on the TUV 300, it is going to get a facelift next year. 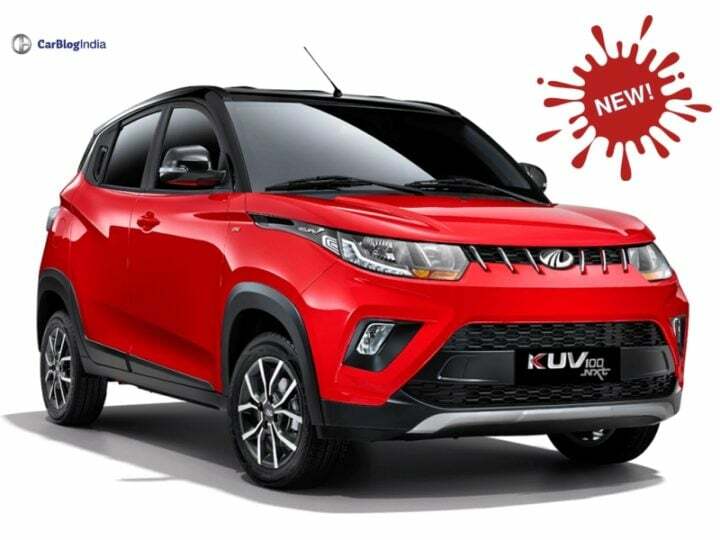 “We are investing substantially not only on the styling part but there would also be a change in terms of technology and engineering to make it a better product,” Veejay Ram Nakra, M&M Chief of Sales and Marketing (Automotive Division) said to ET Auto. Both of them are selling in good numbers. Around 2,000 units of the TUV 300 were sold in August 2018 and around 1,200 units of KUV 100 were sold in August 2018. Recently, the 9-seater variant of TUV 300 was launched in India. The TUV 300 Plus demands a little premium over the standard 5-seater variant. Now there are rumours that Mahindra might launch a 7-seater variant of TUV 300 in 2019. Mahindra currently has a busy schedule till 2019. It recently launched the MPV Marazzo. The next launch is a full-grown SUV XUV 700 and after that a compact SUV, Mahindra S201. The compact-SUV is squarely aimed for rivalling Tata Nexon, Ford EcoSport and Maruti Suzuki Vitara Brezza. Also, it has an electric hatchback with Pininfarina, an electric sedan with Ford and new crossovers from the Marazzo platform in mind.